For the last time in the regular season the Petes took to the ice against the Kingston Frontenacs. 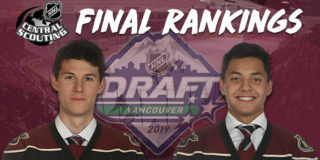 The Petes were severely limited with seven injury scratches including still-injured captain Logan DeNoble and the newest addition to the sick bay: Declan Chisholm. 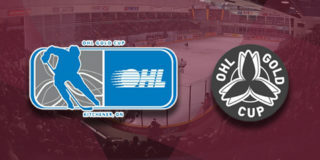 Despite the deficits, the annual OHL Talk Today game would go to the Petes by a score of 3-1. The first period opened with penalties being awarded to both Peterborough’s Zach Gallant and Kingston’s Gabriel Vilardi for holding straight off the opening faceoff, which opened up the square-cornered pavilion as the squads battled 4-on-4. As the teams returned to even strength and the clock hit ten minutes, a Pavel Gogolev shot would deflect off the pad of Frontenacs’ back-up goalie Brendan Bonello and land back onto Gogo’s stick, but would not make it past the crease even with a second attempt in what was one of the best chances in the first period. After a rough back and forth the Petes would mark the scoreboard with the first goal of the night as Nick Robertson would get the puck to Bobby Dow so that he could fire one past the outstretched Bonello. Wellsy’s standing tall to lots of rubber so far, and we’re up by 1 after 20 minutes! The second 20 minutes would open with another Peterborough goal on behalf of Semyon Der-Arguchintsev and John Parker-Jones who delivered a nicely-wrapped package to Pavel Gogolev, which he deposited behind Bonello to give the Petes their second of the night. The Frontenacs would give the Maroon and White their second powerplay as Ryan Cranford took a short trip to the box for tripping. The short 2 minutes, though, would prove fruitless as the score remained 2-1 in favour of the home team. 40 minutes would close out on another Petes powerplay as Vilardi went to the box for interference and the buzzer would sound on a single-goal Electric City lead, while Kingston continued to edge the home squad in the shots on goal: 22-20. A couple more shots on net for your Petes, and we’re still up by 1! The Petes began the third frame with a couple of seconds on the powerplay thanks to Vilardi but could not capitalize on their lead as Kingston returned to even strength. The back and forth nature which had preceded the period in the last 40 minutes continued as both teams shoveled the puck from one zone to the other. 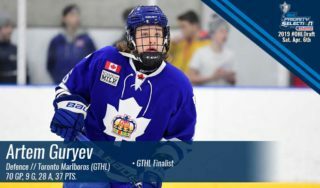 Gogolev would take only the second Peterborough penalty and give the Fronts their first powerplay as he was called for interference, but his loss wouldn’t phase the Maroon and White as both Gallant and Dow would go on quick breakaways. Both were denied by a lazer-sharp Bonello. Peterborough’s third penalty would go to Gogo again for slashing which would drop the Liftlock Lads down a man with three minutes left to play as Kingston took their allotted timeout in an attempt to regroup their strategy. 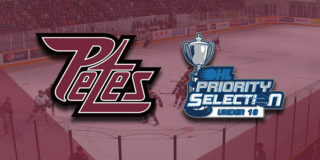 The Limestone Lads appled ever-increasing pressure in an attempt to force overtime, and the challenge for the Petes was intensified as Austin Osmanki would sit for the remaining 20 seconds on a delay of game. The penalty kill gave Peterborough the freedom to ice the puck, though, and it took just second short-handed for Zach Gallant to ensure victory with an empty net goal delivered by a Chris Paquette dump-in. 60 total minutes would come to an end with the Petes defeating the Frontenacs in their last meeting of the season 3-1 with both teams tying the shot clock 32-32. 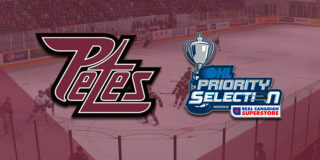 The Petes play their first game in March against the London Knights on Thursday, March 1 at 7:05pm. The game will feature the first ever Citizenship Ceremony at an OHL game, where 40 new Canadians will be officially sworn in as part of the pre-game ceremony. Tickets are available starting at $8 through the Collins Barrow PMC Box Office, online or, by phone at (705) 743-3561.